Tom Bingham was among the most influential judges of the twentieth century, having occupied in succession the most senior judicial offices, Master of the Rolls, Lord Chief Justice and Senior Law Lord, before retiring in 2008, at which point he devoted himself to the teaching of Human Rights Law, until his death in September 2010. His judicial and academic work has deeply influenced the development of the law in a period of substantial legal change. In particular his role in establishing the new UK Supreme Court, and his views on the rule of law and judicial independence left a profound mark on UK constitutional law. He was also instrumental in championing the academic and judicial use of comparative law, through his judicial work and involvement with the British Institute of International and Comparative Law. This volume collects around fifty essays from colleagues and those influenced by Lord Bingham, from across academia and legal practice. 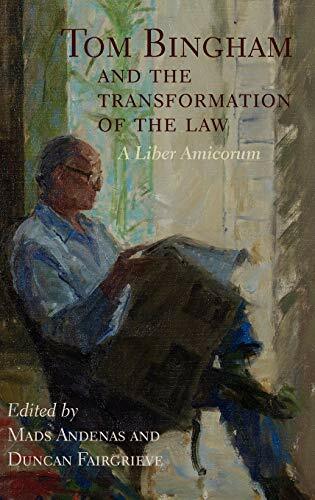 The essays survey Lord Bingham's pivotal role in the transformations that took place in the legal system during his career. 1. 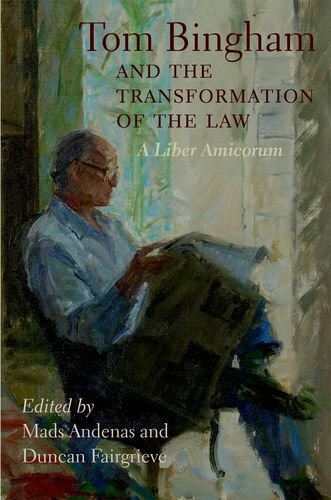 Tom Bingham and the Transformation of the Law: A Liber Amicorum.